I talked to my cousin the other day. He is coming out to Washington, and then here to hang out. 😀 He said he will be in Washington from the 29th to the 4th. then after that he could come to visit me. I don’t have anything planned for the weekend of the 4th, so I was thinking about driving up there. He will be staying with his brother, and hanging out with him. I don’t know where they are planning to see the fireworks, but I think it would be awesome to go with them. Then on the 11th, I am going to the Live Faith Fest in Kent Washington, to see Switchfoot, Tayla, and a couple others. I don’t know exactly what the timing will be like; with my cousin wanting to vist and such. maybe he will want to go along. is upgrading worth it yet? hi, I uh… forgot about this.. yes. -1 for me haha. I actually had stuff I could write about too. The new job… yep, I am working for Intel now. I don’t really know how much I can say about the stuff I am working on, so I am not going to say anymore than this: I got to play around with some cool stuff that isn’t out yet. (I know that isn’t saying much..) The people there are nice. 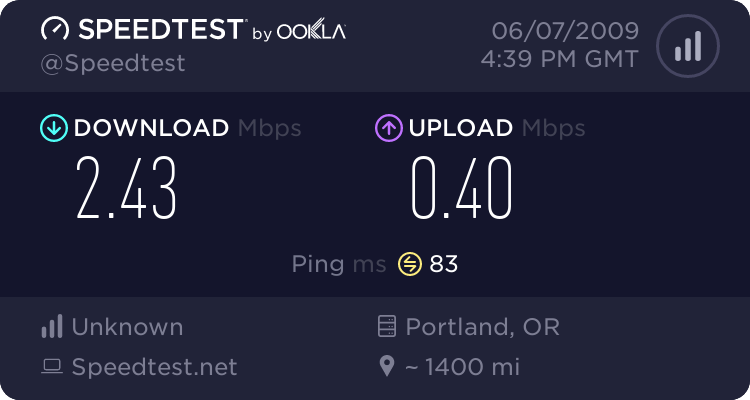 Part of the reason I haven’t been writing much on here is because I didn’t have fast internet. The apartment complex thing where I am renting has verizon internet coupled with the apartments. they claim it is ‘high-speed’ but it isn’t even close. Actually I was getting about half the speed dial-up is capable of handling. if you have the option to go with verizonavenue; Just Say No. That was fun. I went with one of the other Interns from NMU as he didn’t have a car. The next weekend(the 30th) I drove up to Washington to see Tayla in concert. That was amazing. She was better in concert than on CD. It is very rare that I think that. (Skillet comes to mind) The concert was really good, and I got to talk to her for about a half hour after the concert. That was awsome; she is extremely nice. Here is a picture I took while driving to the concert in Ellensburg. Oh and I went ot sonic for the first time. They were handing out free rootbeer floats. I saw the flier online, but I didn’t think anything of it at first because where I am from in michigan we don’t have any. I checked and found one about 2 miles away so I went. it was really busy, but well worth it. I can’t think of anything else really important or worth mentioning that happened since the last entry. You are currently browsing the Ntw1103's Weblog blog archives for June, 2009.